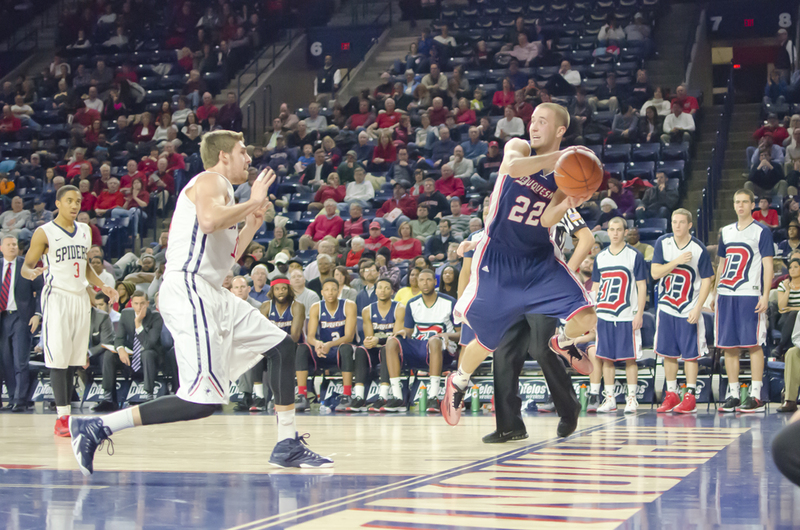 If we know one thing, size is not going to be a problem for Duquesne in the near future. Keith Dambrot has secured yet another big — figuratively and literally — commitment from the class of 2018. Austin Rotroff becomes the latest player to sign with the Dukes and their recently-added head coach. Along with 4 star forward Gavin Bizeau and 290 pound Dylan Swingle, Rotroff is part of a loaded class of big bodies. Rotroff’s yet another indicator of Keith Dambrot’s preliminary success as head coach of the Dukes. Though the former Akron coach has yet to coach a game in the Palumbo Center, he’s setting up Duquesne for a bright future. Since his hiring earlier this summer, Dambrot has added multiple transfers, all of whom will sit out this season, and an interior of forwards that will strike fear in opposing teams in a couple of years. The Ohio native Rotroff adds size and capability in two seasons, and I’m excited to see what he’ll do in Pittsburgh.